Meanwhile, leaders of all the opposition parties except the Biju Janata Dal (BJD) and the CPI(M)-led Left Front took part in the rally, which the Trinamool Congress (TMC) has said will sound the "death knell" for the ruling BJP in the upcoming Lok Sabha polls. New Delhi: As Opposition leaders assembled at the historic ‘Brigade Parade Ground‘ for Mamata Banerjee-led mega rally in Kolkata, Bharatiya Janata Party (BJP) came down heavily on them (Opposition leaders) asking,”Is it a rally of ‘United India’ or of ‘Divided Leadership’? 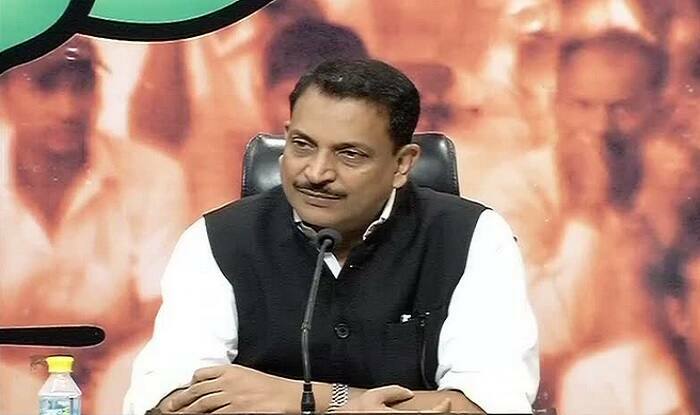 Addressing a press conference, former Union Minister and BJP national spokesperson Rajiv Pratap Rudy questioned the face of Opposition. “The summit at Brigade Parade Ground is a summit of contradiction and conflicting ideologies and held under whose leadership. Is it Mulayam Singh, Akhilesh Yadav, Mamata or who?” asked Rudy. “They make it a point to be present at the whip so that they don’t lose their membership. At the same time they are so opportunistic that they want to climb the stage and be present at a conclave. BJP will take cognizance of it,” Rudy added. Meanwhile, leaders of all the opposition parties except the Biju Janata Dal (BJD) and the CPI(M)-led Left Front took part in the rally, which the Trinamool Congress (TMC) has said will sound the “death knell” for the ruling BJP in the upcoming Lok Sabha polls. More than 20 national leaders, including former prime minister H D Deve Gowda, his son and Karnataka Chief Minister H D Kumaraswamy, Andhra Pradesh Chief Minister N Chandrababu Naidu, Sharad Pawar, Farooq Abdullah, Sharad Yadav, Akhilesh Yadav, Tejashwi Yadav, Hemant Soren and former Arunachal Pradesh chief minister Gegong Apang, reached Kolkata and attended the Opposition’s ‘Show of Strength’.